Best known for his role as Lou Grant on the Mary Tyler Moore show and its spin-off series Lou Grant, actor Ed Asner’s career re-surged by taking on the role of Santa Claus in many movies. His Santa films include Elf; Regular Show; Olive, the Other Reindeer; Yes, Virginia, there is a Santa Claus; Christmas Vacation 2; The Story of Santa Claus; and Papa Noel. 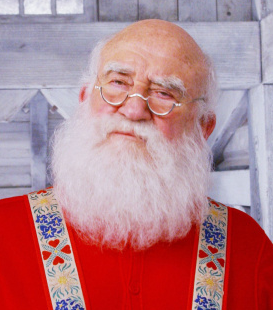 Asner has also done off-screen roles with numerous voice overs as Santa Claus. He was twice elected President of the Screen Actors Guild. Asner has also won 7 Emmy Awards making him the most honored male performer in the award’s history.